Elton John thinks Miley Cyrus is a “terrific girl” and her ex-fiancé, Liam Hemsworth, is gorgeous. 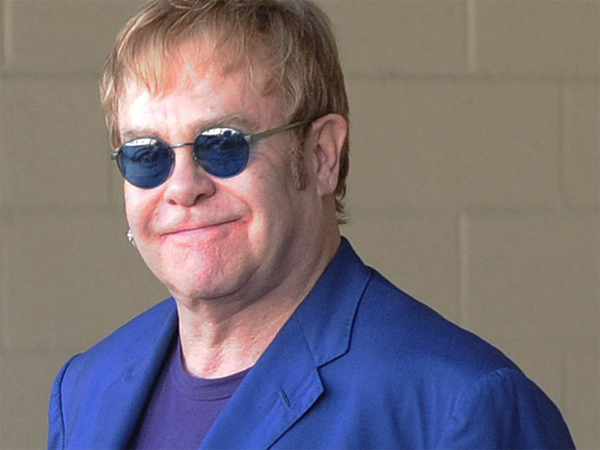 Elton John thinks Miley Cyrus is "a terrific girl" and is flattening her competition. The 66-year-old British singer, who blasted the 20-year-old hitmaker last week as a "meltdown waiting to happen", following her recent performance at the MTV Video Music Awards (VMAs) in New York, claims he isn't a fan of the Wrecking Ball singer's tongue but respects her as an artist. He told The Ellen DeGeneres Show, "That was just the thing I just could not [handle]. . . it wasn't the dancing or anything or touching Robin Thicke's whatsit." He added, "I've been in the business a long time; let me tell you what worked at the VMAs. Miley Cyrus went on [and] performed like she did. And the whole purpose of VMAs when you got all these big artists competing against each other for attention is to flatten the opposition. She flattened the opposition. "Nobody talked about anybody else except Miley. She has two records in the top 10, the number one single. Even though I think it was a weird performance." Elton, who’s openly gay and has two children, Zachary (2) and eight-month-old Elijah, with husband David Furnish is also a big fan of Miley's ex-fiancé, Liam Hemsworth (23). He said, "I'll take her old boyfriend though. As the French say, 'A bit on the side.' He's gorgeous . . . those Australians."